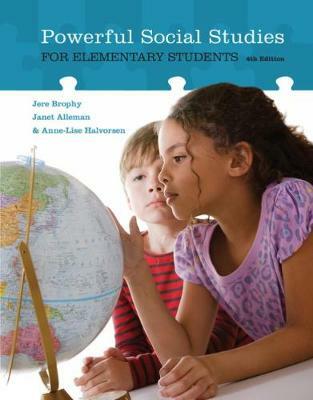 Ideal whether you're a pre-service or in-service teacher, POWERFUL SOCIAL STUDIES FOR ELEMENTARY STUDENTS outlines ways to select content and teach history, geography, and social sciences meaningfully. It combines theory and research with examples from classroom practice. The fourth edition emphasizes the importance of using developmentally appropriate content and methods when helping students to develop social understanding and prepare for civic life. It also includes a solid research base, uses additional visuals to display content, provides examples of curriculum and design, and reflects principles emphasized in the new College, Career, and Civic Life Framework for Social Studies State Standards.